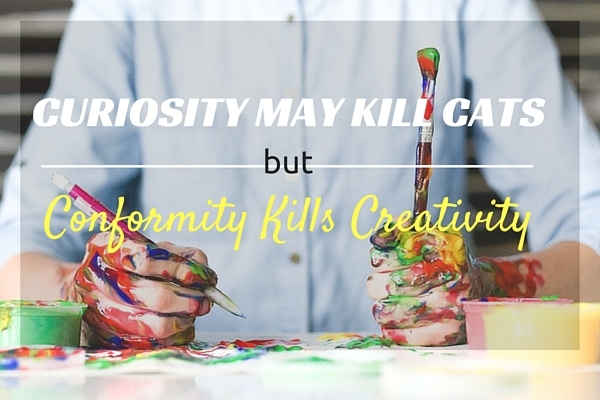 Curiosity May Kill Cats, But Conformity Kills Creativity | So You Want To Teach? In the recent blog post 10 Habits of People Who Always Have Great Ideas, Ideapod author Lachlan Brown highlights 10 characteristics of creative people. I encourage you to go read the article. As I was reading through the list, I was struck by two thoughts: “Hey, those are all habits I cultivate in my life!” and “Wow, wouldn’t it be great to have students like that in my class?” This article explores how I nurture creativity in my life as well as in my students..
How do I cultivate these habits in my life? I am constantly considering new ideas and looking for new sources of inspiration. Sources of inspiration include listening to a podcast (my current favorites are Revisionist History and DCI’s Fieldpass), reading a book (I’m currently working my way through Peak), or listening to music (read the review of this recording of Tchaikovsky’s 4th, 5th, and 6th Symphonies then buy the recording and be amazed). On the flipside of mindless daydreaming is mindful observation. I’m typically very detail-oriented, but I am continually finding that I have to remind myself to be present in the moment. For me, it is a constant battle between daydreaming and hyper focus. I find that my alone time is what I need to process everything that happens. I’m naturally introverted, so solitude is a way for me reenergize as well. Jesus sought alone time. Thoreau sought alone time. The article mentions Darwin and Picasso as well. So I figure my penchant for solitude keeps me in good company. I like to travel. I like to go on adventures. I like to play my iPod on shuffle. Being stuck in a rut is not my idea of excitement. What can I say, I’m just not going to be that teacher who teaches from the same lesson plan year in and year out for the next two decades. I actually wrote about this a couple of weeks ago. Failing Forward: How To Learn From Failure. Failures are opportinities to learn and grow, often far more than successes. I do this with my blog frequently. Sometimes it works out and an article gets over 120,000 views (9 Reasons To Quit Teaching (And 10 Reasons To Stick) for instance), other times I work just as hard on an article that doesn’t resonate with as many people (for instance, a recent article about providing customer service in the classroom that has just under 250 views in nearly a month and not a single comment). Embracing failure has taught me to just keep trying new things, both on my blog and in my classroom. I tend to do things in streaks. In recent years it has been golf, running, traveling, studying music history, planning band curriculum, and most recently medical billing and bookkeeping. It’s too easy to hide your true self and try to fit into what your perception of society says you should do. Just be yourself, and your passions will surface. Life is constantly throwing images, ideas, alerts, notifications, beeps, blips, bloops, and whatever else at us. Creative people sift through it all. We take it all in and have trained ourselves through observation to see larger trends. I live my life in a persistent quest for analogies. How does this new piece of information relate to something I have previously experienced? The answer usually points me toward the big picture. This is really the essence of creativity. I consider myself to be a troubleshooter. When a problem arises, I seek solutions. “Always have a Plan B.” Sometimes you’ll find yourself working through your Plan D because the first three didn’t quite work out. Embrace failure, take risks, stay flexible, and press on. READ Thank You For A Great Year! How can we help cultivate these habits in our students? Daydreaming students need to be reminded to focus from time to time. Remind them that all daydreaming isn’t bad, but too much daydreaming or daydreaming at inopportune times can lead to missed or misunderstood instructions. Some observant students have a habit of pointing out missing or incomplete details. This can feel like the students are ganging up on you, especially if you are not a detail-focused person. Often though, they are simply trying to understand the assignment. For the rest of them, asking more questions helps reinforce the value of observation. Variety is great, even for students who say they don’t like variety. We all fall into routines in our teaching methods. Habits are essential for building comfort and consistency in classroom routines. However, sometimes it’s okay to break habits. Give a list of options for projects. Allow students to select topics of their own choosing, or assign topics to students if you normally let them pick. Use video, lecture, silent reading, visual aids, PowerPoint, and any other assortment of instructional delivery methods. As teachers, we have a powerful opportunity to frame failure for our students. We also have a powerful opportunity to frame success. Our students have been failing at things their whole lives. By the time they get to your classroom, they have a concept of failure already established. And for most of them, that concept is not a positive one. Change that. Some students beat themselves up over simple mistakes. Some expect perfection from themselves and are repeatedly disappointment by their own humanity. Talk frequently about failure as a springboard for growth. Some students are so petrified by fear of failure that they never even take the first step. If you are able to somewhat change their view of failure, you will encourage them to take risks. The essence of creativity is taking risks to try new things. With a view of failure as an opportunity rather than a missed opportunity, risk-taking becomes a powerful tool for self-discovery. Suddenly, you have students who are learning on their own, rather than waiting on you to give them all the knowledge they need. If a student comes to you full of fear, risk-taking can be one of the most difficult skills to nurture. Keep fighting for it, though. It’s so worth it. Allow students to bring their own interests into assignments. Encourage it as the situation merits. Not all of them will for sure, but the ones who feel the liberty to do so will surprise you. One of the realizations I had after teaching 6th grade for about 5 years was that: The way the class has done something for a week is “the way we’ve always done it” to the mind of a child. 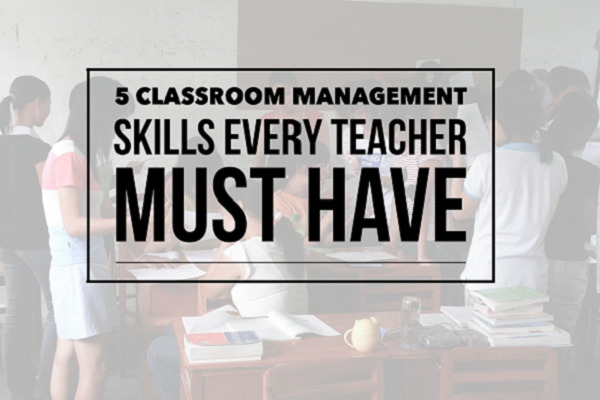 As a teacher, be consistent in your classroom procedures. But change things up a little bit from time to time. Discuss this with your students as to why there is an inconsistency in the routine, and let them know that it’s okay. 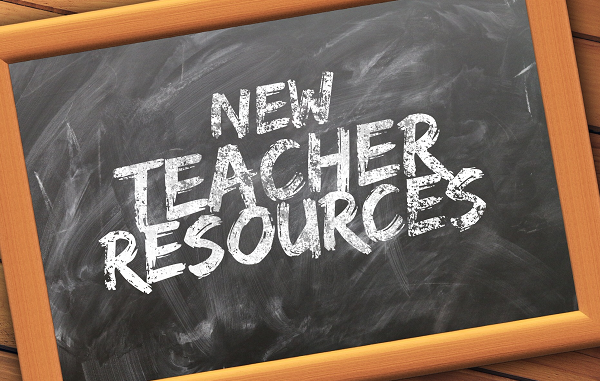 Change up your instructional methods to meet the needs of a broad segment of learning styles. Model flexibility for your students (without complaining), and teach them to emulate your attitude. Ask more “Why” questions about everything. Some kids get it right away, but you won’t always get an answer. Be consistent about this, and pretty soon you’ll see more and more students start actually thinking logically about why they act a certain way, why they are studying a certain concept, how a technique they learned previously is coming into play again here. Be ever watchful for how something can be applied to the macro or micro level. Question your students about problem-solving suggestions. Have more discussions, and consider the big picture, as well as the small picture. Ask “What if” questions. Help nurture the ongoing quest for knowledge. Embrace discomfort. Generally the most creative students are some of the most intelligent in your classes, whether their grades indicate that or not. Creative students tend to lose interest when they are not stimulated, and the result can often be low grades. Challenge them and engage their minds, and most of them will flat out amaze you.